The following was originally posted on October 6, 2008 and an abridged version appears in Baseball’s Untold History: The Wild Side published by Summer Game Books in 2017. Did he or didn’t he? That’s the question. 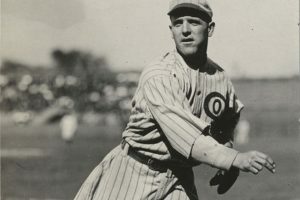 Eddie Cicotte is widely recognized as the inventor of the knuckleball, earning his nickname “Knuckles” around 1908, his first full year in the majors. Whether Cicotte is the knuckleball’s true inventor or not—Nap Rucker, Lew “Hicks” Moren and Ed Summers have also been credited with inventing the pitch (or at least refining it)—no pitch earned Cicotte more attention than his vaunted “Shine Ball.” But did he really throw it and, more importantly, did it even exist? Frank Shellenback, a White Sox teammate from 1918-1919, insisted Cicotte did, in fact, throw the pitch. “Eddie darkened the ball on one side by rubbing it in the dirt. Then he slickened the ball by rubbing it vigorously on his pants. The process camouflaged the ball perfectly. The ball, thrown with blazing speed, rotating quickly, and showing the white side only at split-second intervals, baffled batters completely.” The process created an optical illusion dubbed “the mysterious flicker” by the New York Times. One side of the ball is rubbed smooth and shiny and there is less air resistance on this side than on the other. In that the smooth side does not catch on the air as the rougher opposite side does, there is more air pressure on the rough side. Consequently the ball on its flight is forced in the direction of the lesser amount of resistance. No matter how it was described the shine ball proved to be controversial. While the spitball was still legal at the time, Organized Baseball had rules dating back to the 1890s that forbade pitchers from discoloring or defacing the ball. Violators were subject to a paltry $5 fine and the original version of the rule required the opposing team’s captain to request inspection of the ball, at which time the umpire would determine whether an offense had been committed. The rule was rarely enforced and most felt that these tactics gave pitchers an unfair advantage. The shine ball began appearing in newspapers in 1917 and gained infamy as the season wore on. On May 27 Cicotte held the Senators to one run on five hits and defeated Walter Johnson 4-1. Griffith complained about Cicotte’s shine ball at every opportunity, but to no avail. Meanwhile, Cleveland manager Lee Fohl had accused Athletics hurler Cy Falkenberg, a 12-year veteran who once pitched for the Indians, of throwing a “licorice ball.” Falkenberg was also alleged to have thrown the emery ball, developed by former Yankee Russ Ford, as well as the shine ball. Evidence was presented to Johnson, but both pitchers were exonerated. While the weather bureau was sponging out the schedule of the two major leagues yesterday, President Johnson of the American League had microscopic and X-ray examinations made of the evidence submitted to him and declared he found nothing to indicate violation of the playing rules in the “shine ball” which Clark Griffith accuses Cicotte of inventing, nor in the licorice ball, which Falkenberg has been accused by Lee Fohl of reviving. 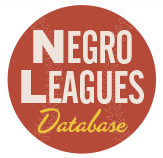 Said evidence consisted of official American League baseballs sent to President Johnson by the umpires in connection with their reports of the complaints registered by opposing managers against the delivery of Cicotte and Falkenberg. After examining them carefully Johnson returned the golbular (sic) evidences to Presidents Comiskey of the White Sox and Dunn of the Indians, to whom they rightfully belonged. Ten days later the Senators and White Sox met again, this time in Washington, and again Griffith accosted the umpires about Cicotte’s shine ball. The Washington batters practically delighted in showing the balls, which allegedly had “funny looking spots” on them, to umpires Billy Evans and George Moriarty, but again the arbiters ignored them. Washington racked up nine hits and won 3-0 behind the brilliant pitching of George Dumont. Ironically, not long after Dumont’s spectacular performance, Evans would list him among pitchers he suspected of throwing the shine ball. Perhaps no pitcher in the world has such a varied assortment of wares in his repertory as Cicotte. He throws with effect practically every kind of ball known to pitching science. The real inside dope is that Cicotte is the best little mixer on the slab in the world. In pitching for a batter’s weakness and cutting corners when he wants to he has no superior in the game. His success is founded on these little things. He was the same crafty Eddie on the hill before he even thought of rubbing the ball on his uni. The exact moment Cicotte began “rubbing the ball on his uni” is lost to history, but all signs point to 1917. Prior to that, no mention of the shine ball is made in newspapers (at least that I could find); at least no one was making much ado about the pitch. Rob Neyer wrote in The Neyer/James Guide to Pitchers: An Historical Compendium of Pitching, Pitchers, and Pitches that Cicotte learned the shine ball from Red Faber after the former was sold to the White Sox in July of 1912. The problem with that theory is that Faber didn’t join the White Sox until 1914. That doesn’t mean that Cicotte didn’t learn the pitch from Faber, but he certainly didn’t learn it from Faber in 1912. The fact that Crusinberry called the pitch “this new shine ball” in his July 7, 1917 article indicates that Cicotte may not have used it until that season. Or it just went largely unnoticed. Or it didn’t really exist. According to Dave Danforth, who pitched for the A’s, White Sox and Browns for parts of 10 seasons from 1911 to 1925, the shine ball was hardly new. In fact, he claimed to have invented the pitch while hurling for Louisville in 1914. “It was hot and dry there and the infield had to be covered with oil instead of water to keep the dust down. I was having control trouble, so I resorted to putting resin on my pants and rubbing that spot to get a firm grip on the ball. Danforth joined the White Sox in 1916 and it’s not a stretch to think that he, and not Faber, taught the pitch to Cicotte at that time. But Cicotte came into his own that year and suddenly everyone was up in arms about the shine ball. It’s not that Cicotte wasn’t a great pitcher prior to that season—he had a career ERA of 2.42 prior to 1917 that ranked 12th among A.L. pitchers with at least 1,500 career innings—but success was measured by wins and Cicotte averaged only 13 wins a year from 1908 to 1916. His career high to that point was 18 in 1913, which paled in comparison to league leaders who averaged 31 wins a season. Suddenly Cicotte was winning games at a rate previously foreign to him and his success was attributed to his trick pitch. Sanborn disagreed. Those jealous persons who have been attempting to cast suspicion on the pitching ability of Eddie Cicotte this year need to study baseball history. The veteran of the White Sox slab staff has been accused of using various kinds of dope to make the ball do funny stunts, and his accusers include players and managers of most of the opposing teams, with the exception of the Athletics, whose manager tells his players to go out and take a wallop at Cicotte’s stuff, just as at anybody’s else. And the Athletics have given Cicotte more trouble than any other team, in consequence of that mental attitude. …one frequently hears from rival players the charge that it is impossible for him to become a winning pitcher, after so many years of mediocre success, without the aid of some magic. Those who talk that way simply do not know the facts. The official records of the game show that Cicotte, with the exception of one year, has been among the leading pitchers in the American League ever since the present system of ranking hurlers by their effectiveness, instead of by games won and lost, was adopted. In that time Cicotte has been the second best pitcher in the league two different seasons and eighth once. The averages for this year show that Cicotte is only a little more effective than in previous seasons, consequently he is only a shade better pitcher than he has been. To understand why Cicotte may not have been held in the highest regard until 1917, one only has to look at his .548 winning percentage, which was good for 12th best among American League pitchers from 1913 to 1916.He finished behind pitchers like Joe Boehling and Bert Gallia, who arenâ€™t exactly recognized as two of the greats of the game.Only seven other hurlers won as many games as Cicotte over those four seasons, but only nine other hurlers lost more games. 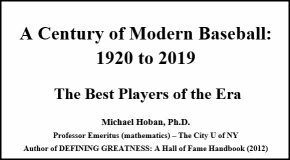 But Sanborn was right to defend Cicotte as one of the league’s best pitchers and not one who was merely mediocre before he mastered the â€œshine ball,â€ as his detractors claimed. From 1913, when the American League first officially recognized ERA, to 1916, Cicotte’s 2.09 ERA was the third lowest among A.L. hurlers who had enough innings to qualify for the ERA title. Although Sanborn claims that Cicotte won more games in 1917 because the White Sox scored more runs for him, the difference between Cicotte in 1916, or the three previous seasons, and Cicotte in 1917 had less to do with the White Sox’s supposed offensive improvement and more to do with his role on Chicago’s pitching staff. In fact, the White Sox’s run scoring appears to have had the opposite effect on Cicotte’s wins than Sanborn claimed. In 1913 the White Sox scored only 486 runs, by far the fewest in the league, but Cicotte won a then career-best 18 games against 12 losses. In 1915 the White Sox scored 717 runs, which was second highest, behind only the Tigers’ 778, but Cicotte’s record fell to 13-12. In 1916 the White Sox’s runs total fell to 601, but Cicotte’s record improved to 15-7. Then in 1917 the White Sox scored only 56 more runs than they had the previous season, but Cicotte suddenly became a 28-game winner. What’s even more startling is that Cicotte received less run support in 1917 than he had in either 1915 or 1916, not more as Sanborn claims. And it wasn’t just a slight decline, either. When Cicotte went 13-12 in 1915, the White Sox averaged 4.92 runs in games in which he started. They were even better in 1916, when Cicotte improved to 15 wins, plating an average of 5.21 runners per game in his starts. But in 1917, the year that Sanborn says “his effectiveness is being converted in a winning record, because he is luckier in getting into games in which the Rowlands make enough runs to win,” the Sox scored only 3.89 runs per game in Cicotte’s starts. That’s a difference of 1.32 runs per game. You could make a case that Cicotte was actually unlucky because he was on the losing end of seven games in which his teammates scored one or no runs. The actual reason for Cicotte’s improvement in wins is that he earned more starts in 1917 than he ever had in any other season in his career and he appeared in more games. Before making 35 starts that year and appearing in 49 games, his previous high mark was 30 starts in 1910 and again in 1913, and 45 appearances in 1914. Although his number of appearances held steady from 1913 to 1916, the number of starts he made declined each year, going from 30 to 19. In 1917 Cicotte finally became a fixture atop the White Sox’s rotation, leading the team with 35 starts. He started 135 games from 1917 to 1920 and completed 111 of them. He went 90-48 with a 2.28 ERA. Cicotte was the same pitcher he’d been for years, but he was finally given more opportunities to become the pitcher of record and he made the best of it. Regardless, opposition to his shine ball came from all directions. On July 1 Fohl objected to Cicotte’s use of the pitch during the first inning of Chicago’s game against Cleveland and was certain he’d succeeded, despite the fact that Cicotte held the Indians to six hits and one earned run in a 5-4 loss. Then in mid-August a doubleheader between the Indians and White Sox got ugly. The Indians delayed the first game when they continually demanded that balls be inspected by the umpires. Cicotte was not on the hill that day; Lefty Williams was pitching, but by that juncture, the entire White Sox staff was under suspicion and subject to accusations of trickery by opposing players and managers. Matters only worsened when Danforth accidentally beaned Cleveland’s star center fielder, Tris Speaker, in the eighth inning of the second game and knocked him unconscious. Speaker missed the next eight games. The latter incident, combined with Griffith’s constant complaining, finally spurred Ban Johnson to action. The A.L. czar ruled on August 28 that any pitcher found guilty of discoloring the ball with a foreign substance or of darkening the ball would be levied a five-day suspension. No mention was made of the “shining” of a ball, but it was speculated that Johnson would amend his ruling to forbid rubbing the ball on the uniform and that the shine ball would be abolished. The White Sox were not the only staff who were said to be using the pitch dubbed the “mysterious floating sensation.” Ernie Shore and Lore Bader of the Red Sox, Dumont and Jim Shaw of the Senators, and Falkenberg were all said to be employing the shine ball. A couple of Eastern League pitchers were rumored to be using it as wellâ€”Merle Spaid of Portland, Maine and Frank Fuller of Lawrence, Massachusetts. Spaid was pacing the E.L. in strikeouts, having fanned 142 batters in 178 innings as of August 27, and Fuller ranked fifth in hits per inning. Contrary to popular belief the shine ball was not abolished and, in fact, Johnson went out of his way to make it clear that “no instructions have been issued concerning Cicotte and his so-called ‘shine ball. '” Danforth, on the other hand, found himself in Johnson’s dog house when the ball he threw at Speaker’s head turned out to be “half dark and half white.” (Danforth received no punishment at the time, but he would eventually receive a 10-day suspension in 1923 for doctoring a ball in a game against the Athletics). While Griffith, Fohl, Philadelpia’s Connie Mack, Detroit’s Hughie Jennings and New York’s “Wild Bill” Donovan complained vociferously about the shine ball in the American League, Giants manager John McGraw was preparing his own protest as the World Series drew near. In mid-September it was clear that, barring a major collapse, the White Sox and Giants would meet in the Fall Classic. J.V. Fitz Gerald reported in the Washington Post on September 18 that McGraw would ask the National Commission to ban the pitch prior to the World Series. Regardless of the National Commission’s decision, the White Sox decided to use the shine ball to try to get into the Giants’ heads. They called it a myth; the pitch didn’t actually exist and Cicotte was only rubbing the ball against his uniform to create a “clean spot” on which to rest his knuckles when he threw his knuckleball. The spot caused an optical illusion and the ball appeared to flicker as it hurtled towards the batter. A couple days later Cicotte elaborated. “The shine ball is a myth,” insisted the White Sox hurler, “It was merely a matter of psychology. I out-guessed the other fellow. So long as the batters in the league felt that they were batting against something they knew nothing about I had an advantage. 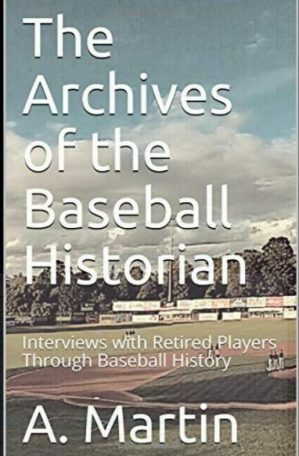 “So long as [Tris] Speaker, [Ray] Chapman, [Frank] Baker, [Wally] Pipp and other heavy hitters of the league thought I was feeding them something ‘phony’ I had something on them. Whether he threw the pitch or not, Cicotte enjoyed his most productive season to that point in his career, going 28-12 with a 1.53 ERA. He threw 346 2/3 innings, topping his previous career high by more than 77 frames, and struck out a career high 150 batters. He paced the Junior Circuit in wins, ERA and innings pitched and finished behind only Walter Johnson in strike outs. He threw the first game of the 1917 World Series and held the Giants to one run on seven hits and two walks in Chicago’s 2-1 victory. He pitched again in Game 3, but lost despite a solid performance in which he allowed two runs on eight hits and struck out eight over nine innings. Rube Benton tossed a five-hit shutout for the Giants, however, to cut the White Sox’s lead to two-games-to-one. Cicotte didn’t start another game in the series, but he relieved Reb Russell in the first inning of Game 5 when Russell surrendered a walk and two hits to the first three Giants batters. Cicotte threw six innings and allowed two runs in Chicago’s 8-5 win. The White Sox took the series in six games. Throughout, the Giants uttered not a word about the shine ball. The Hartford Courant congratulated them for their sportsmanship after Cicotte easily dispatched them in the first game. It is to the Giants’ credit that in spite of their failure to hit the offerings of Eddie Cicotte on Saturday the Giants have raised no howl against the alleged use of the ‘shine ball’ by the White Sox star hurler. In view of the fact that all season long rival teams in the American League have raised a clamor about the delivery of Cicotte it would have been easy enough for McGraw’s men to blame their defeat on a doctored ball. Prior to the opening of the series the members of the Giant team who had seen Cicotte in action declared they did not believe the veteran pitcher tampered with the ball in any way. They declared that he was a great pitcher and that if he could beat them they would have no alibi, and they have kept their word. But Cicotte maintained his stance. Over the next two seasons, debate about the shine ball, spitball and “freak deliveries” reached a fevered pitch. Many wanted the practice abolished for good. Griffith warned that if the practice was allowed to continue, he’d encourage all of his pitchers to start throwing the shine ball. With the exception of Walter Johnson, Senators hurlers eventually added the pitch to their respective repertoires. Before long everyone was seemingly throwing a shine ball or a new trick pitch. “If a pitcher did not do something to the baseball, at least occasionally, it was cause for mention,” wrote Neyer. Hod Eller, another shine ball artist, pitched for the Cincinnati Reds for five years from 1917 to 1921. Eller was with the White Sox during Spring Training in 1916 before he was released to Moline of the Three-I League. Before he was dispatched to Moline, Eller became friends with Danforth, lending more credence to the theory that the shine ball originated in the White Sox organization. Ironically Eller would use his shine ball to beat Lefty Williams and the White Sox twice during the 1919 World Series, throwing a three-hit shutout in Game 5 and winning 10-5 in Williams’ Game 8 meltdown to clinch the Series for Cincinnati. But Eller’s career was about to come to an abrupt end. …the pitchers were making a mockery of the game. It was one thing to apply a bit of saliva to the baseball, but the pitchers didn’t know when to stop. They slathered every manner of slippery substance on the ball, and also competed with each other trying to come up with new ways of scuffing and discoloring it. Frankly, it became a joke. But the powers that be weren’t laughing. In early February 1920 they agreed to abolish trick pitches. Pitchers were no longer allowed to “apply a foreign substance to the ball; expectorate either on the ball or in their glove; rub the ball on their glove, person or clothing; deface the ball in any manner; or deliver what is called the ‘shine’ ball, ‘spit’ ball, ‘mud’ ball, or ’emery’ ball.” Violators were subject to immediate ejection from the game and an automatic 10-day suspension. 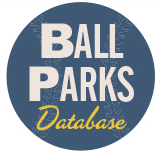 Teams were allowed, however, to designate up to two “bona fide spitball pitchers” per squad, who would be allowed to continue employing the pitch for the remainder of their careers. Seventeen pitchers were designated by their respective teams. Neither Cicotte nor Eller made the list. Danforth didn’t either. He’d been traded to Columbus of the American Association on August 26, 1919 and didn’t get back to the majors until 1922. Unfortunately for Danforth, the A.A. abolished trick pitches prior to the 1918 season, so he couldn’t use his shine ball in the minors either. Despite the new rules, Cicotte enjoyed another successful season, going 21-10 in 1920 with a 3.26 ERA. 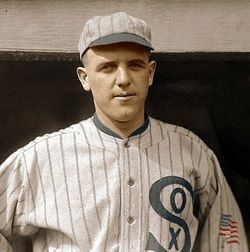 It would prove to be his last campaign in the big leagues, however, as he was swept up in the Black Sox scandal that rocked baseball and resulted in his lifetime banishment from the game. Eller went 13-12 in 1920 with a 2.95 ERA, then suffered through a disastrous 1921 season in which he appeared in only 13 games due to rheumatism in his left hip. For all intents and purposes his career was over. Said the Spitter to the Shiner, “I’m the best ball in the game. Name another slant that’s finer, or can boast of half my fame. I am speedy, sly, deceiving, and I laugh with fiendish glee when the sluggers beat it grieving to the bench because of me. And with three men on the bases, and the pitcher in a fit, you can just bet twenty cases, I’ll be thrown to stop a hit. I was used by Walsh and Chesbro—these the greatest of the band. Coveleskie, too, and Tesreau—all their names immortal stand.” Said the Shiner to the Spitter, “Why should you rave, rant and snort? You’re a filthy and unfit ball, yes, the worst ball in the sport. Though your break is quite contrary, and you swell the strike-out list, you are far from sanitary, if you’re canned you won’t be missed. You’re a slimy ball, doggone you! You are wild and reek with sin; pitchers only spit upon you, and what’s more, they rub it in.” Said the Shiner to the Spitter, “You forget my pedigree—you can lamp no home-run hitter when Ed Cicotte pitches me. I am cleaner, greater, truer; to change places I don’t pine. I’m a better ball than you are,” to the Spitter said the Shine.